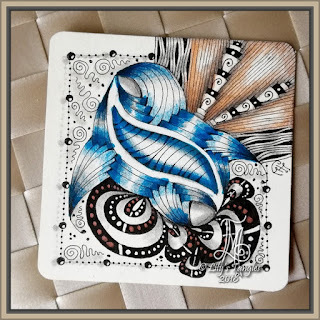 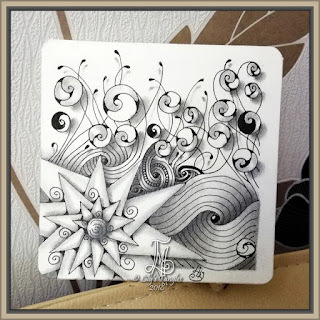 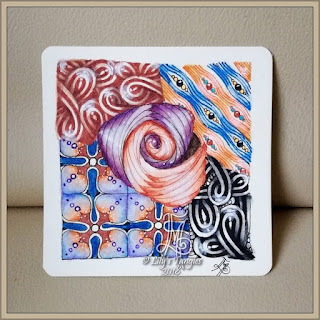 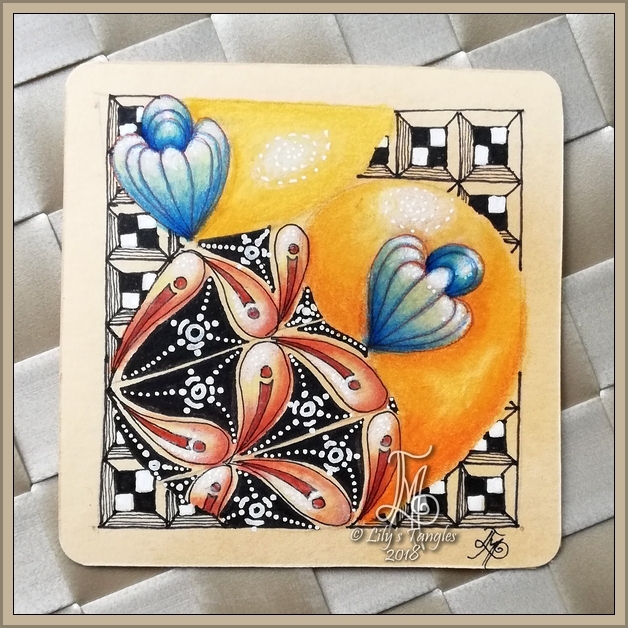 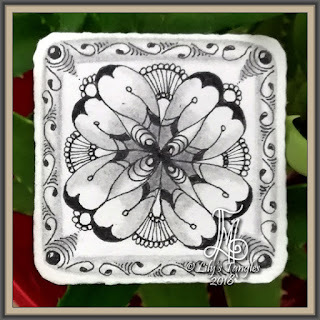 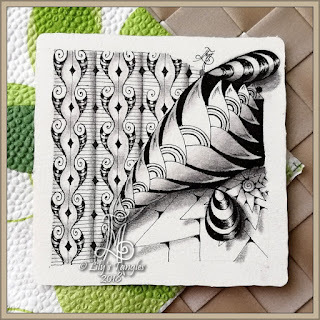 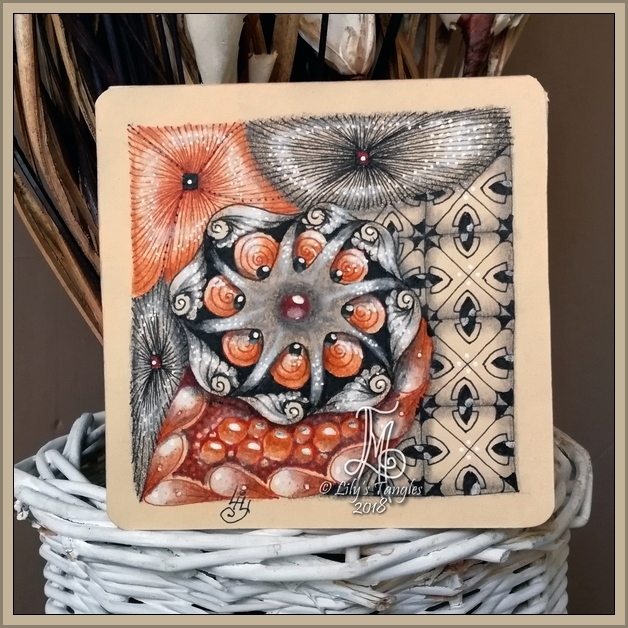 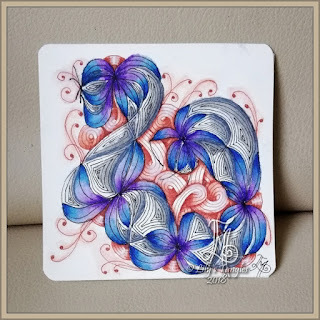 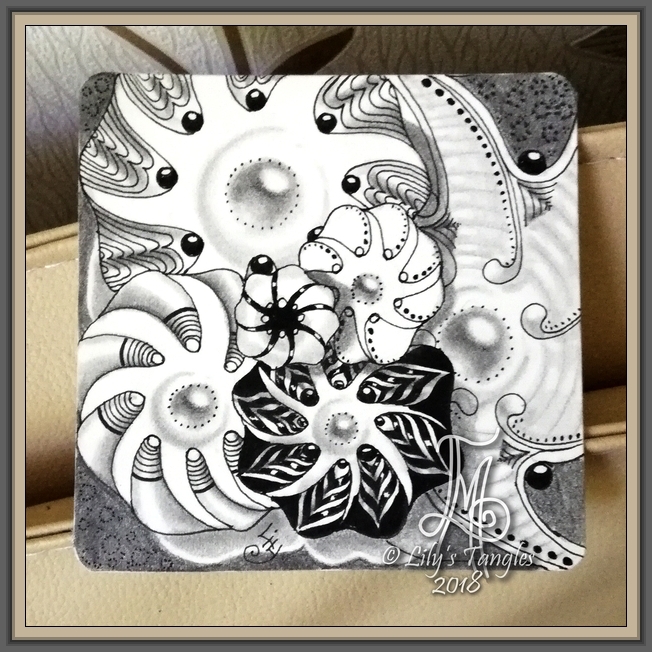 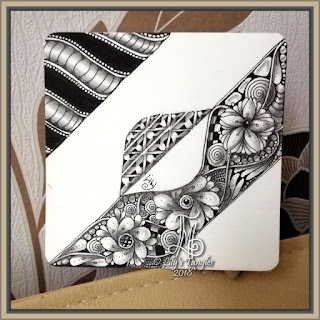 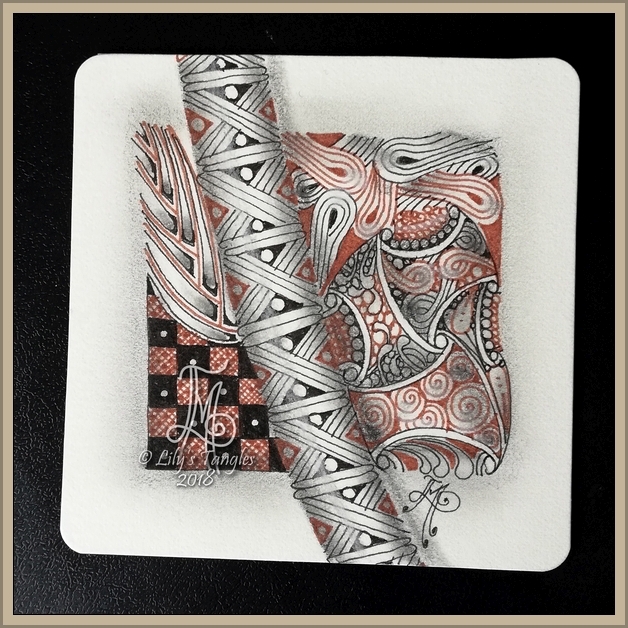 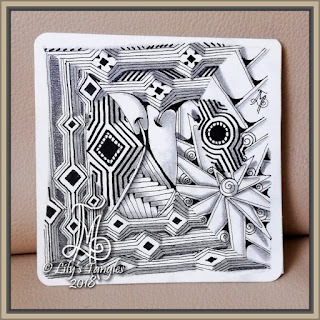 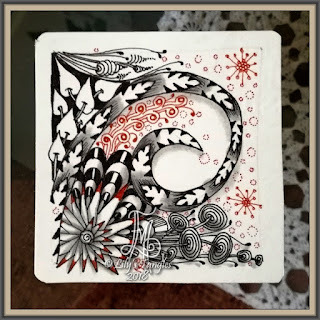 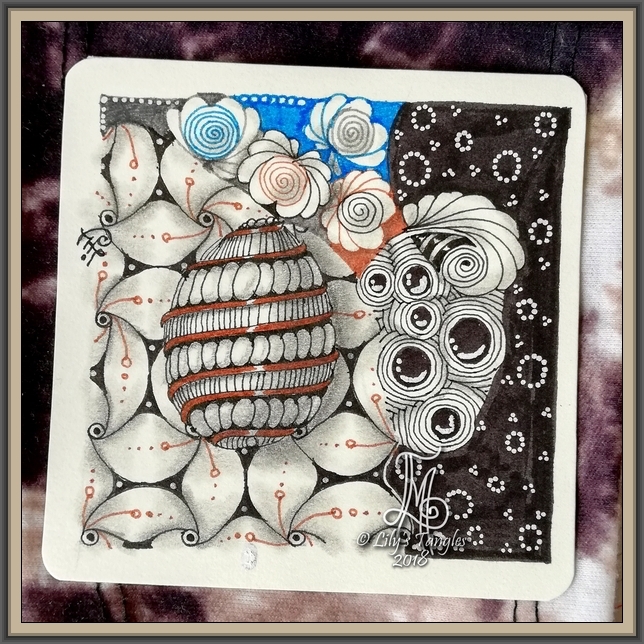 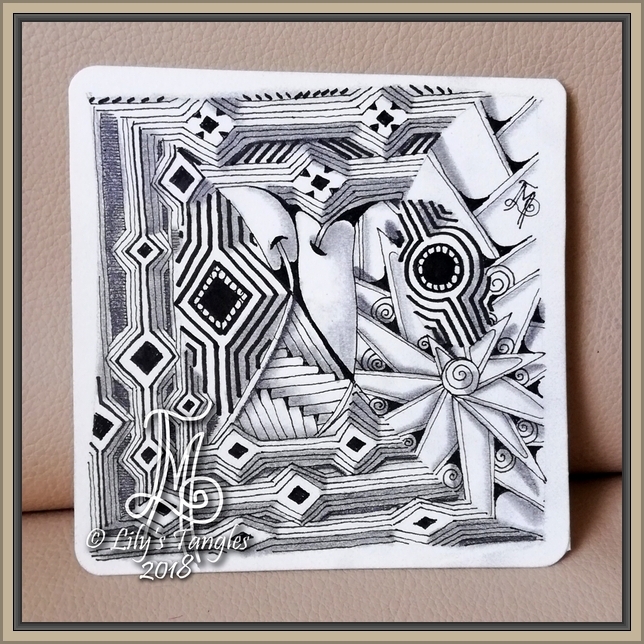 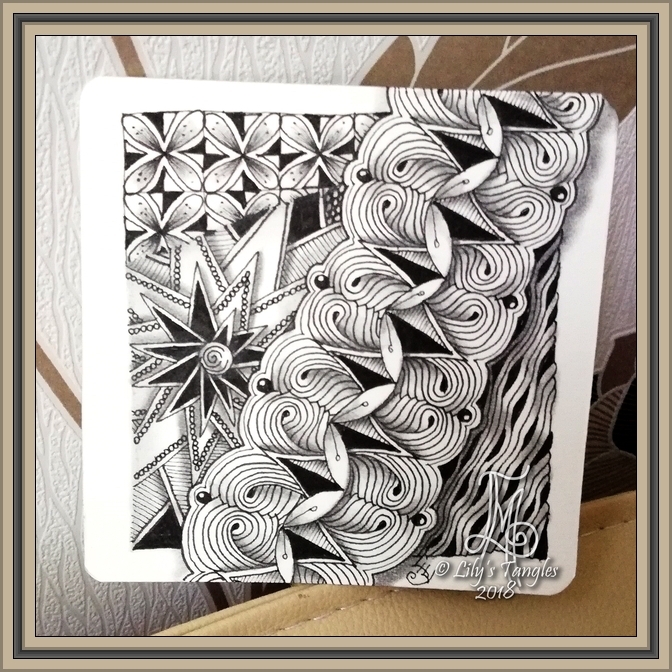 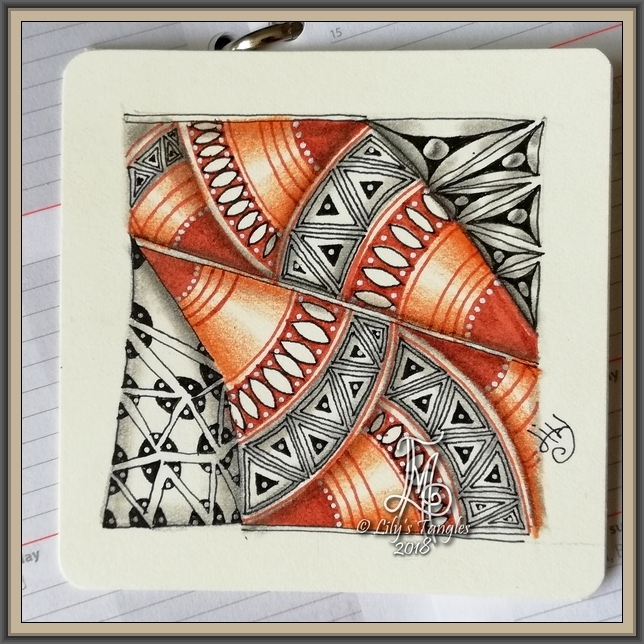 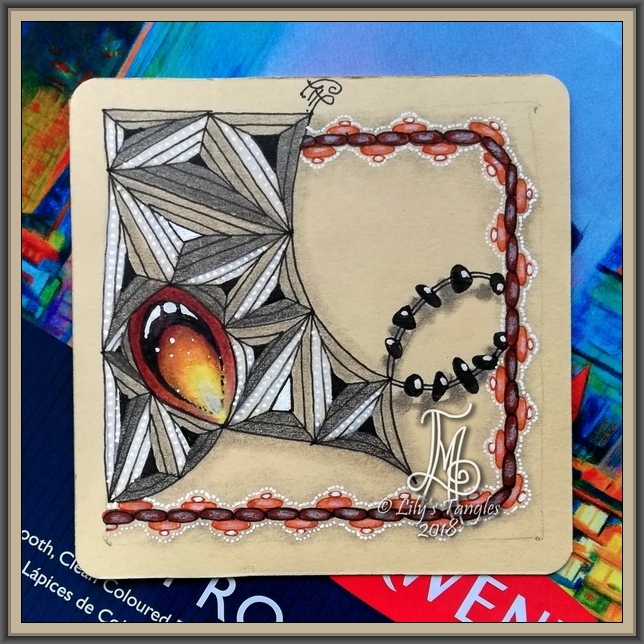 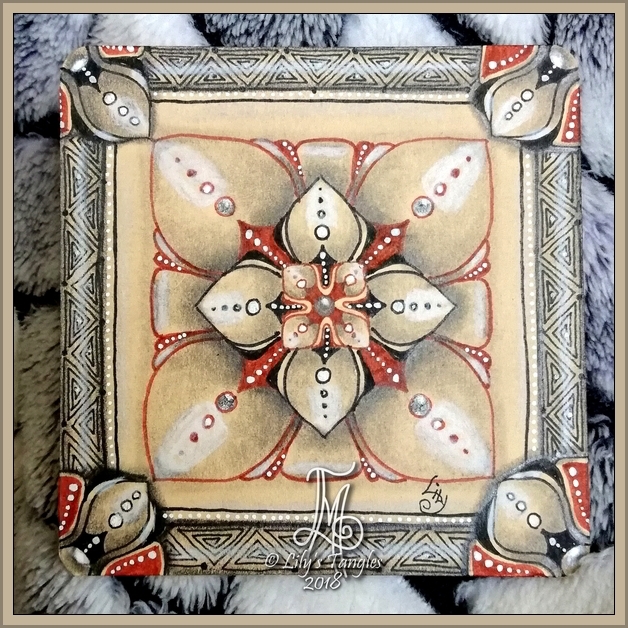 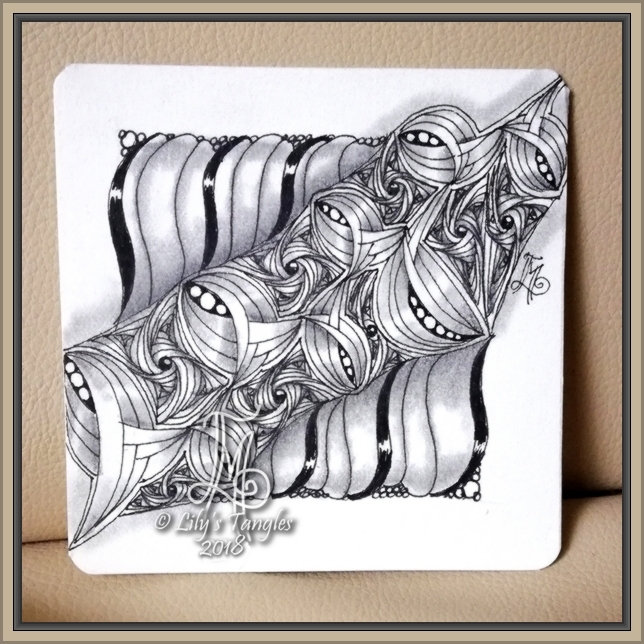 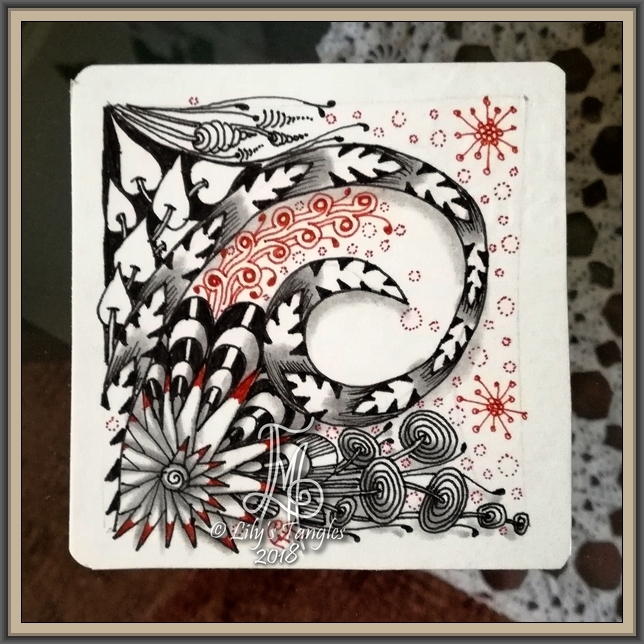 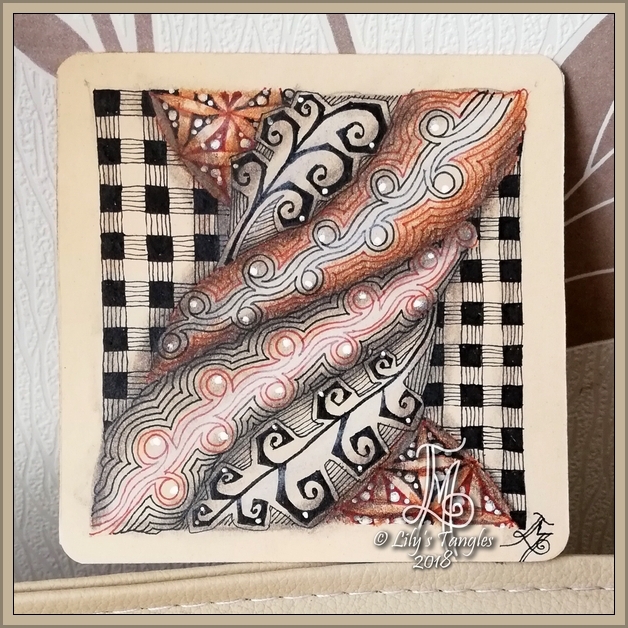 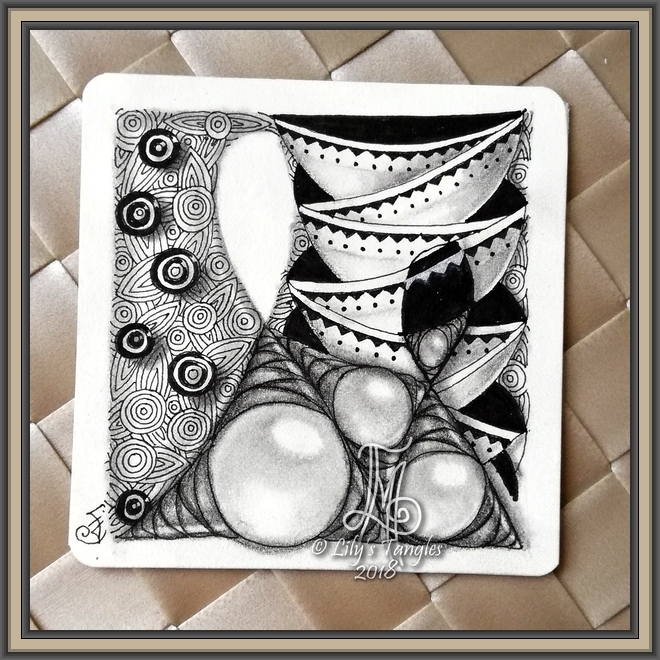 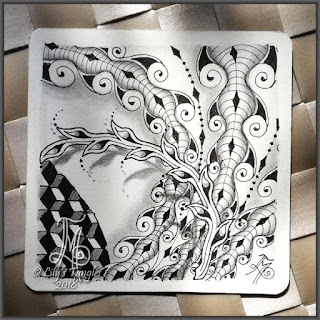 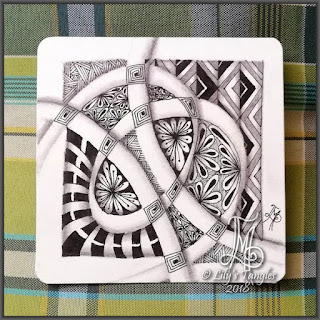 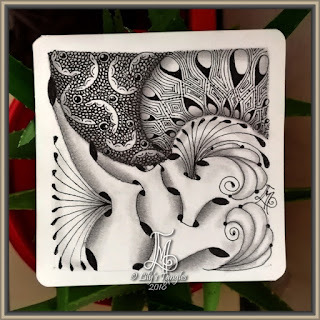 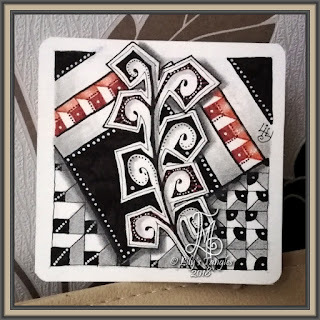 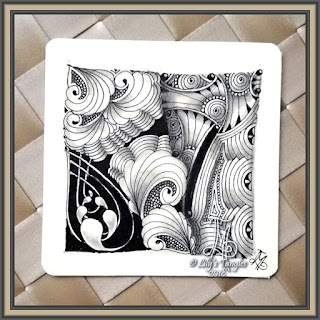 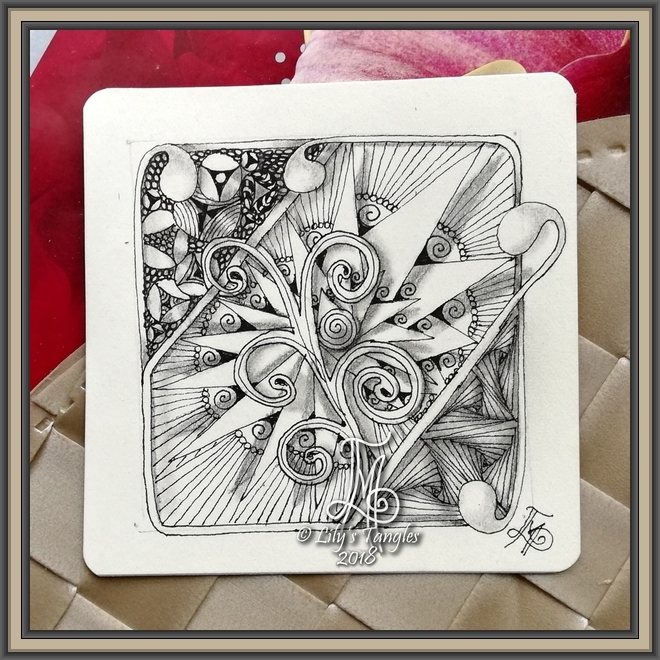 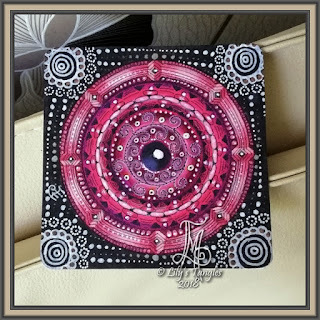 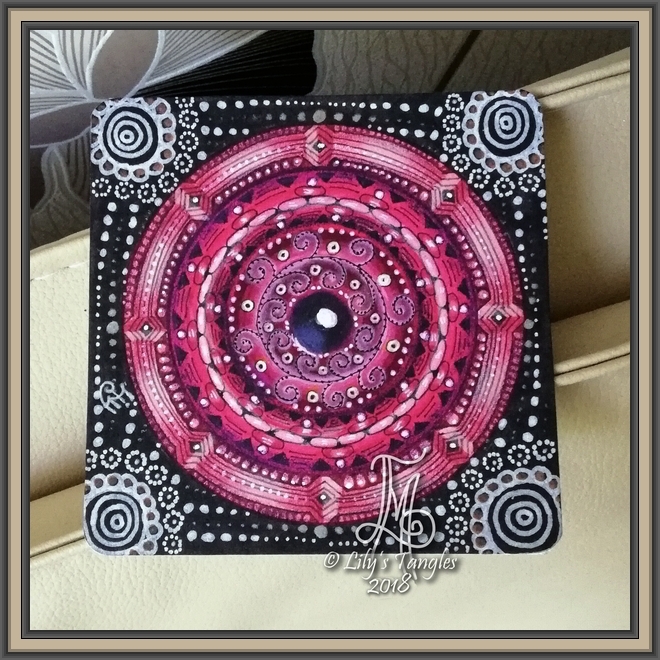 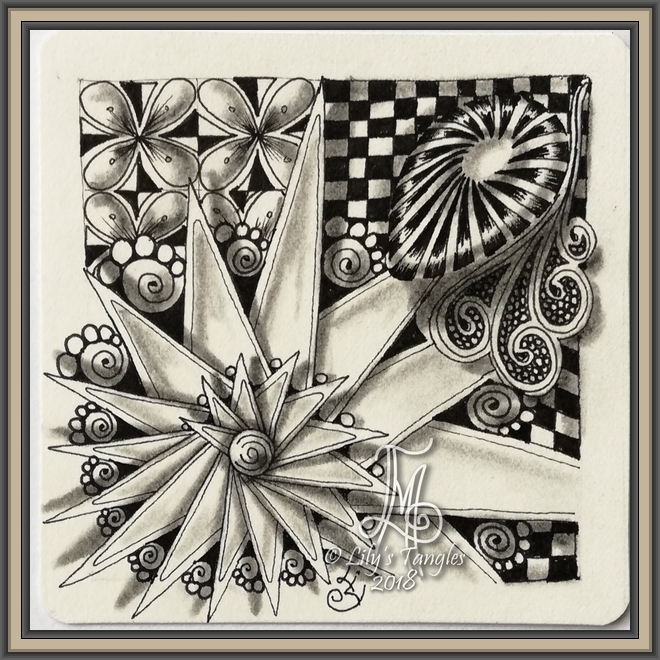 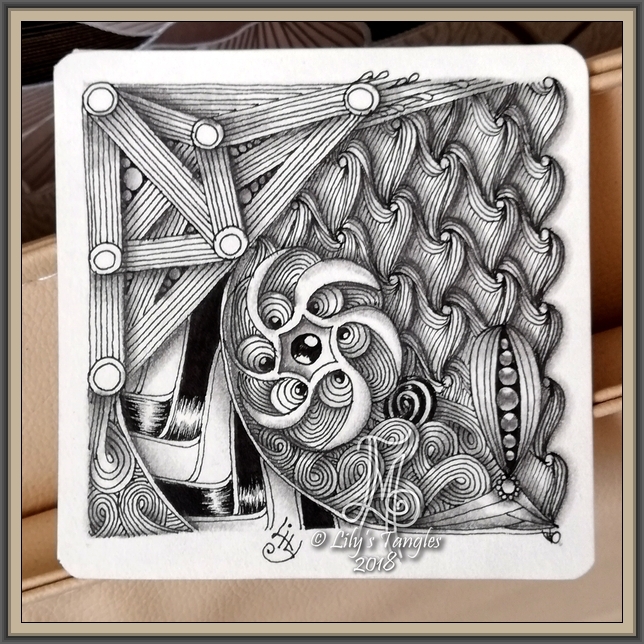 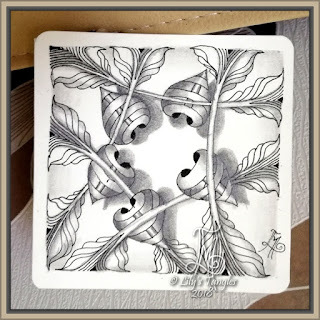 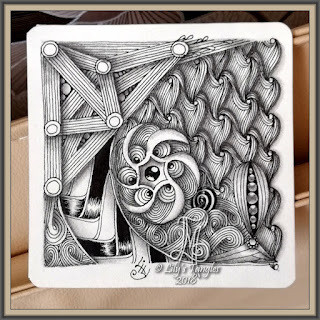 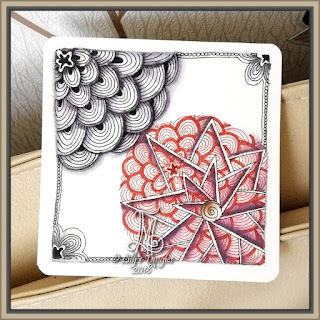 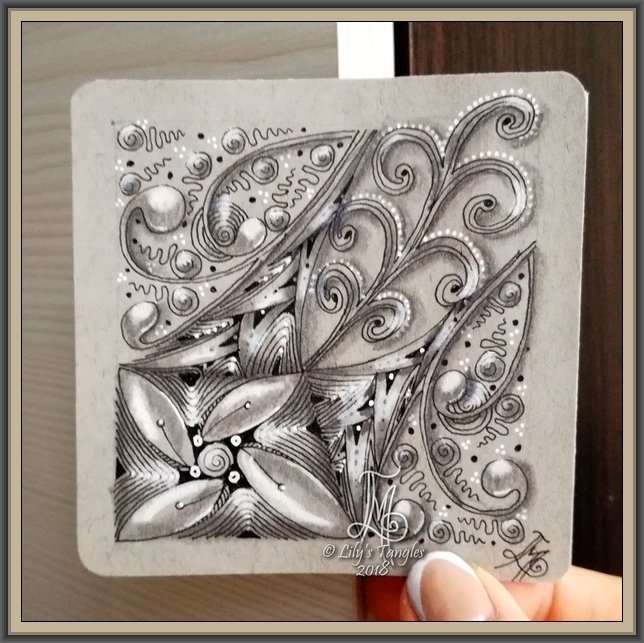 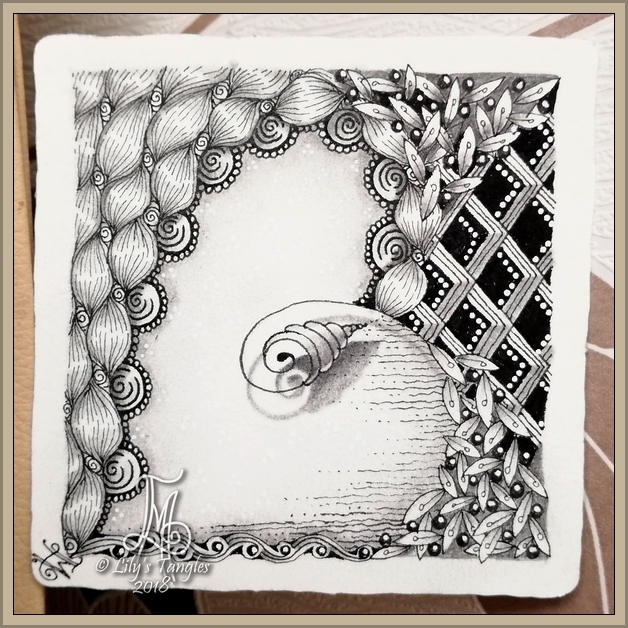 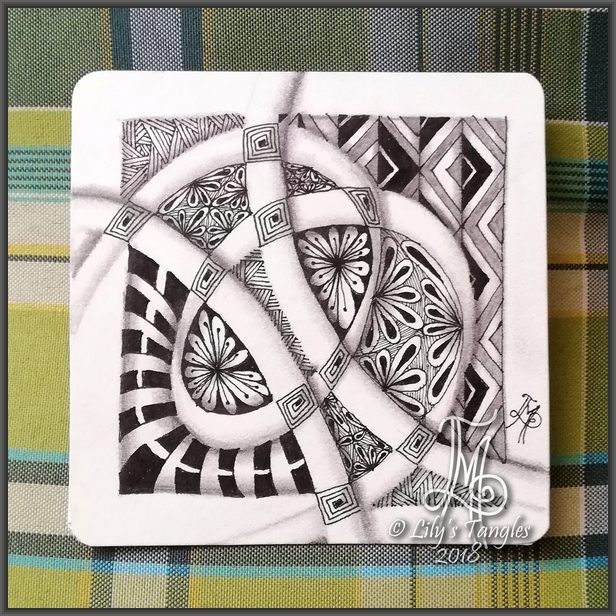 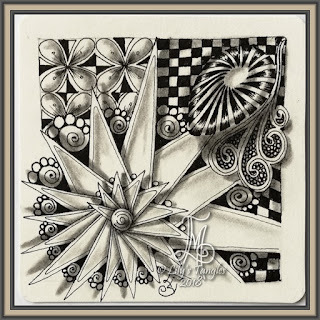 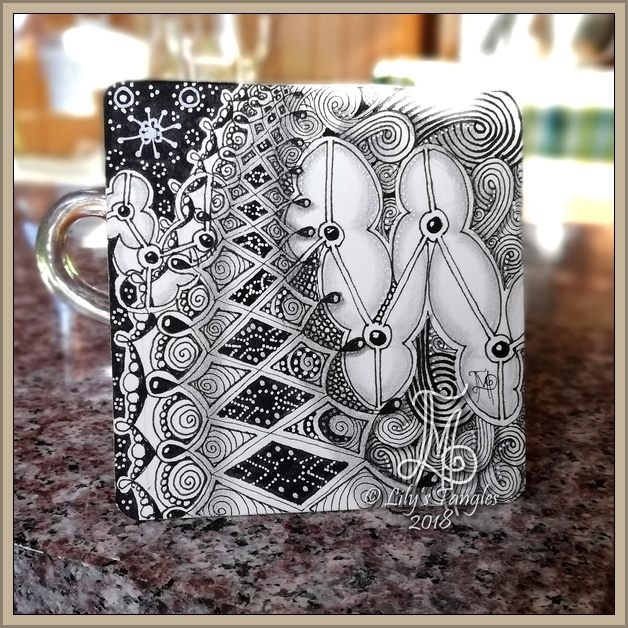 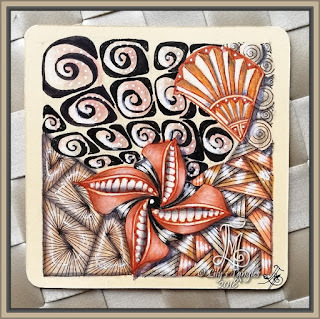 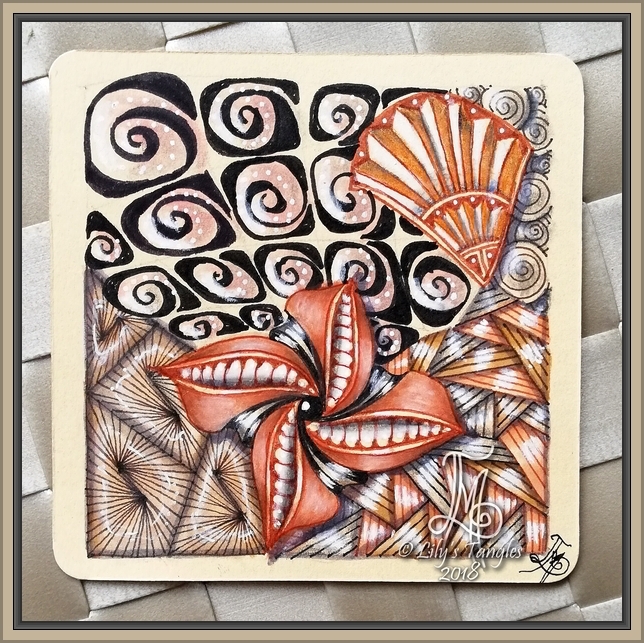 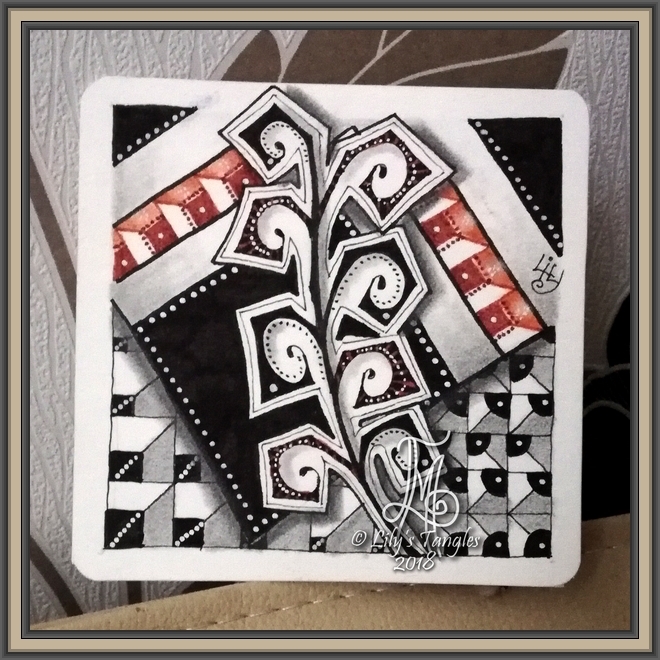 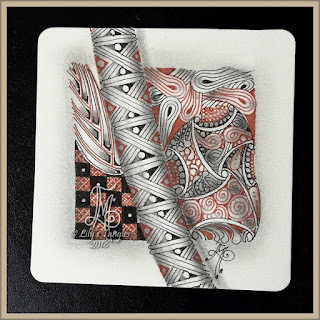 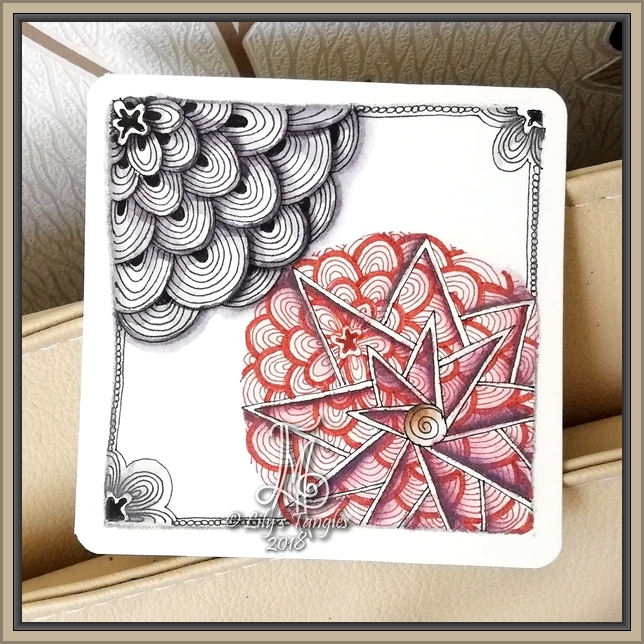 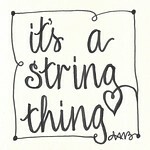 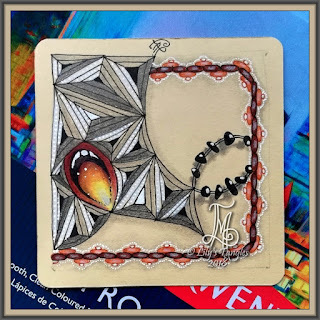 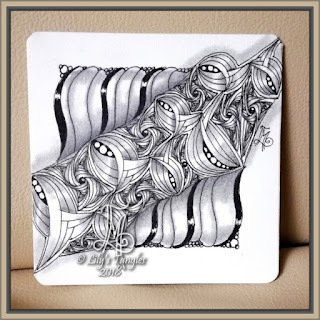 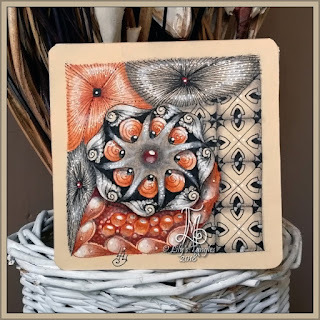 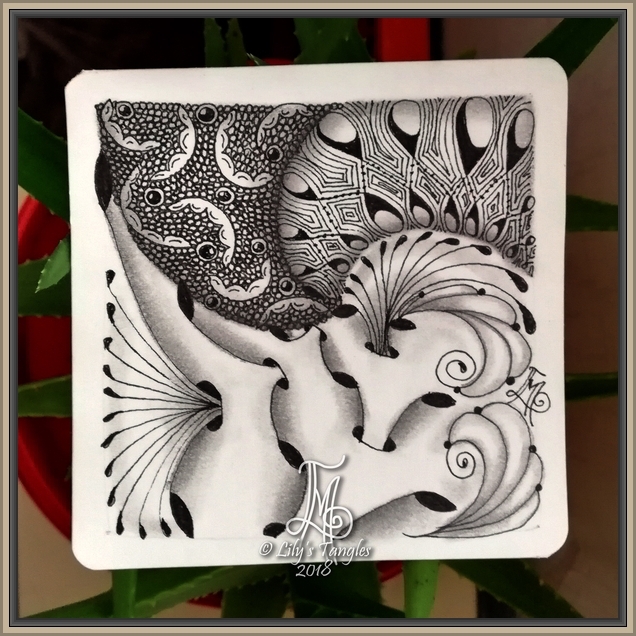 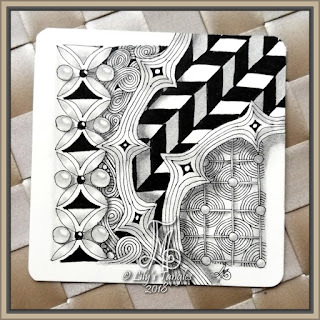 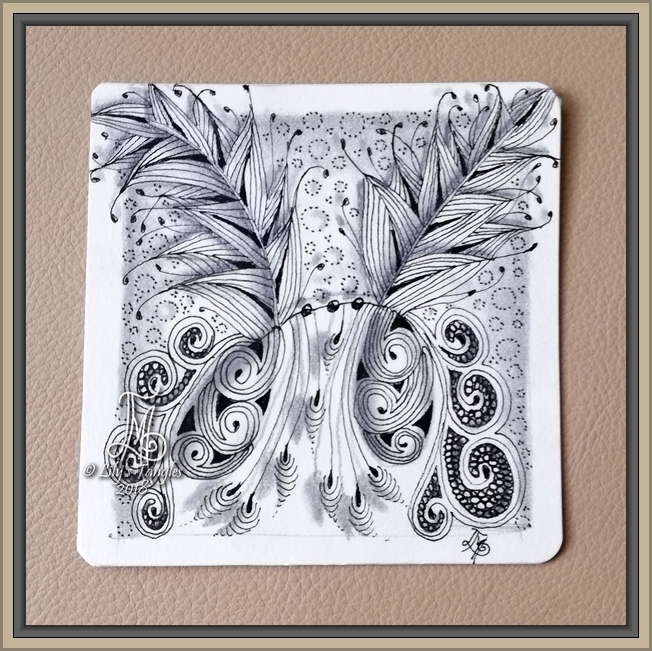 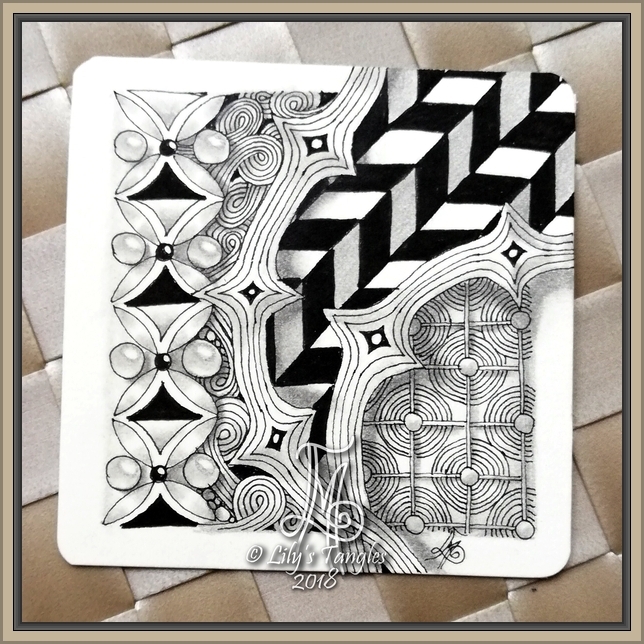 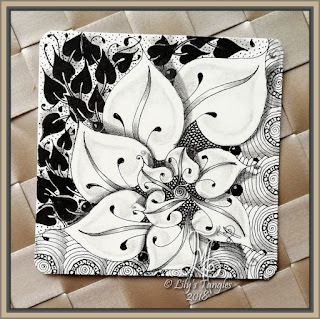 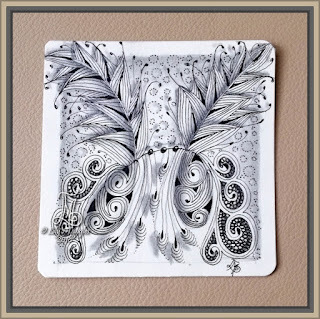 My first tile from August of 2014 and I drew it for an other Diva's challenge (#180). My winner tile on IAST243. 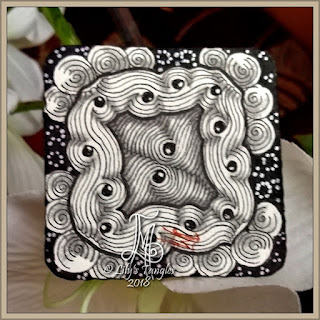 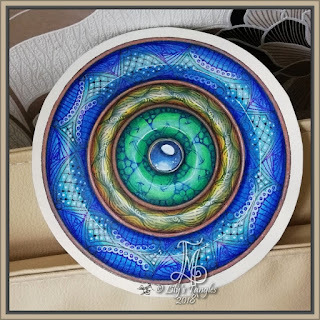 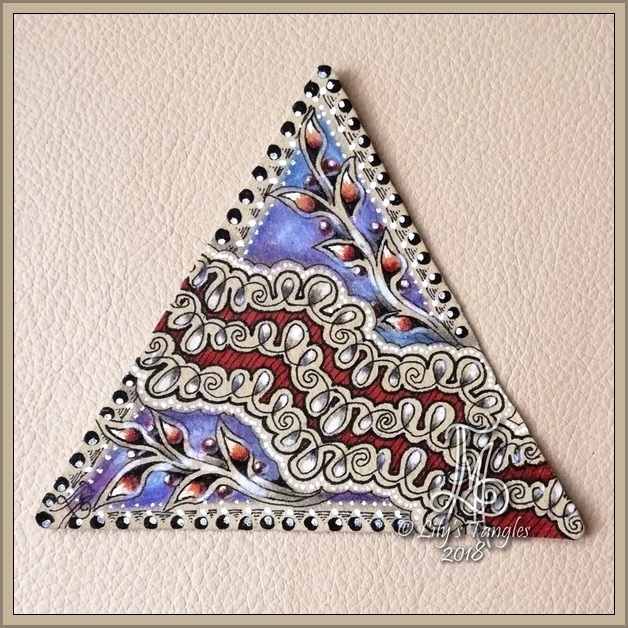 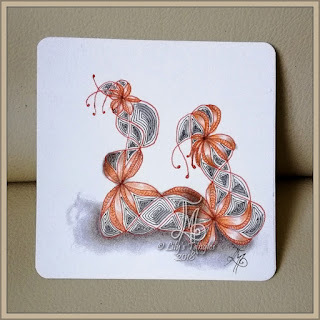 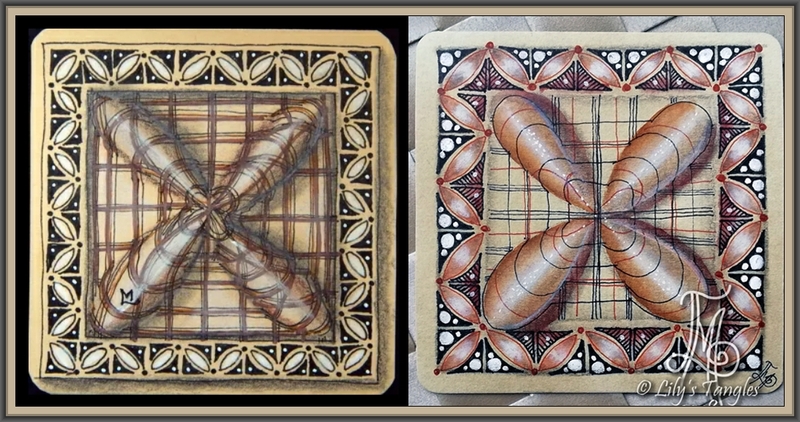 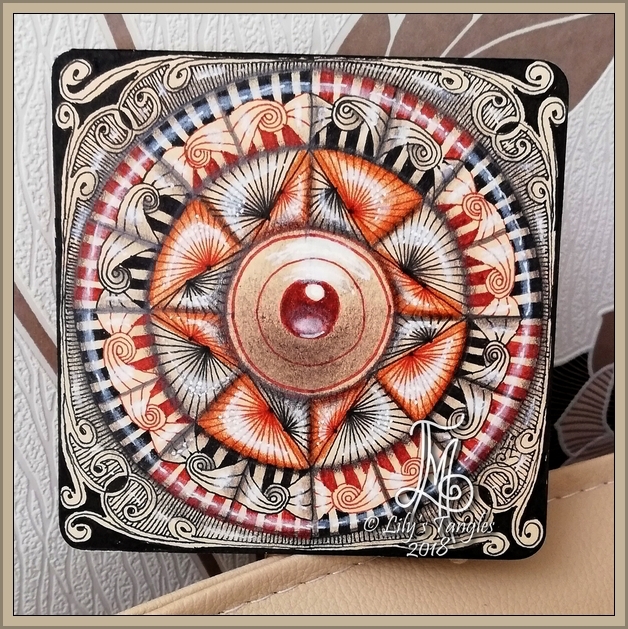 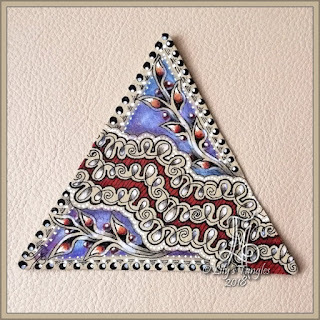 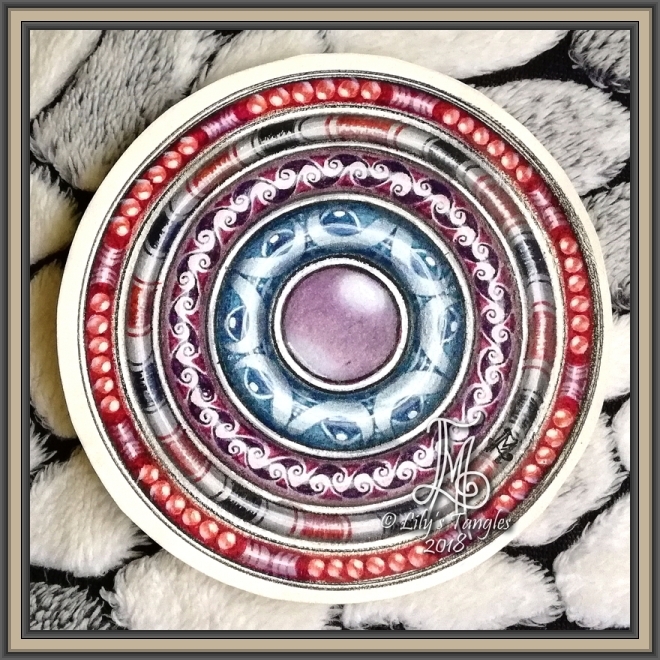 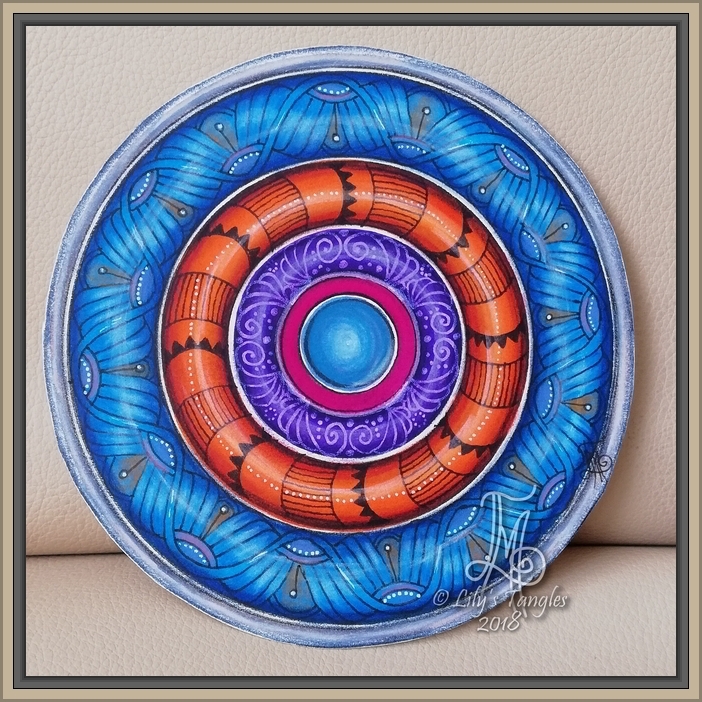 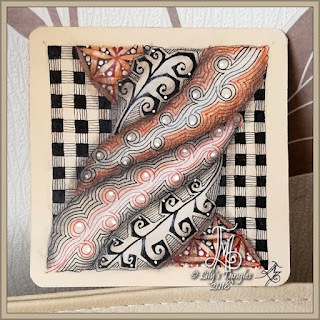 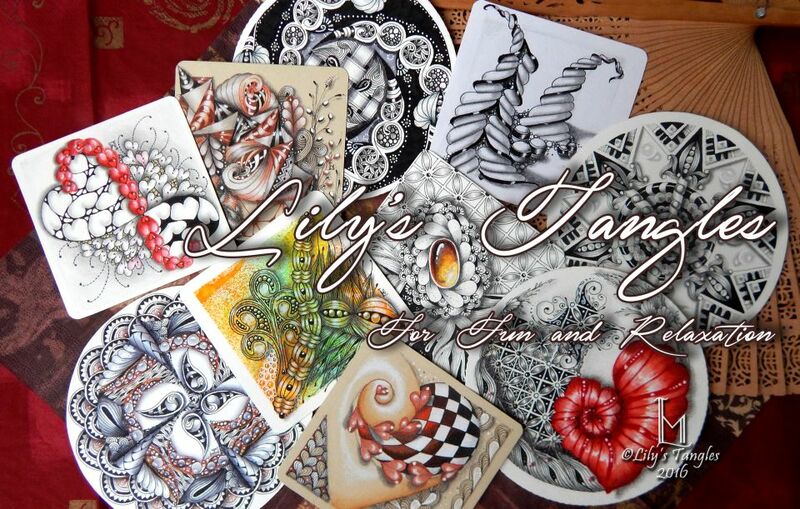 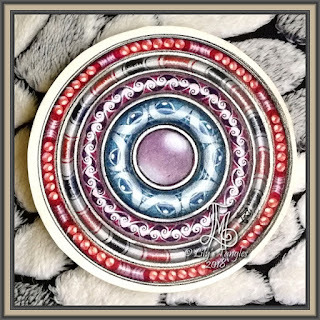 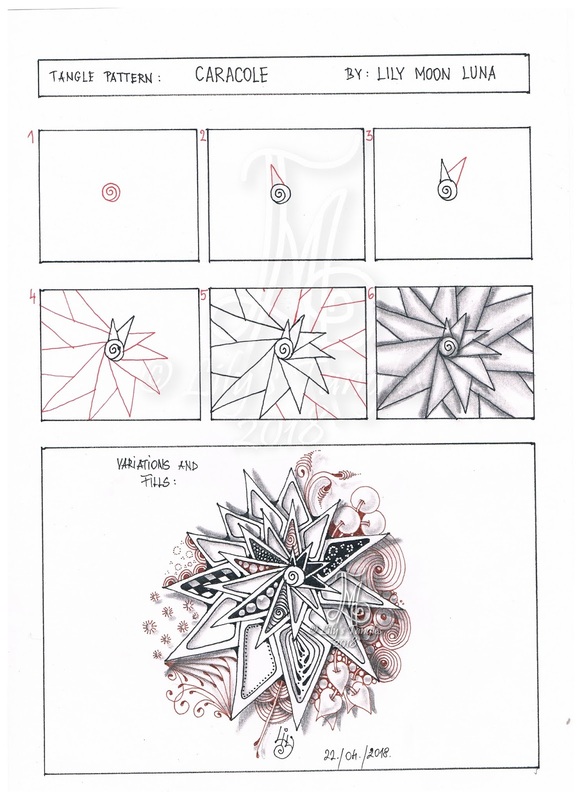 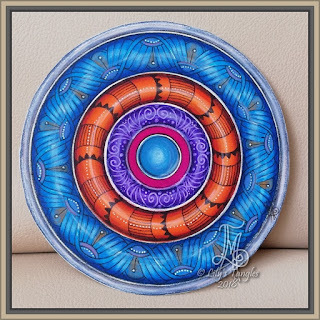 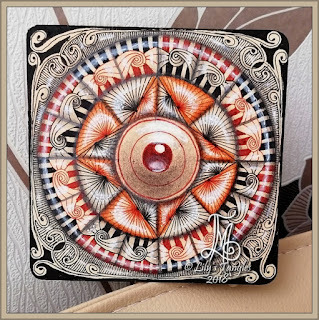 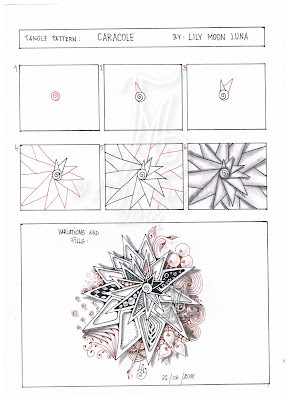 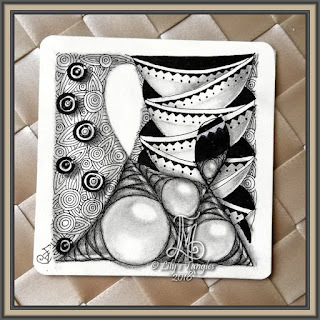 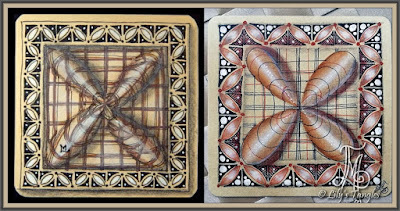 For Diva's Weekly Challenge #363: "Laura's Auras"
Here is my new tangle pattern Caracole and my first tile with it.